How Tall Is My Shed? Large Library - iCreatables is the Top Shed Plan Site on the internet with over 300 designs to choose from. 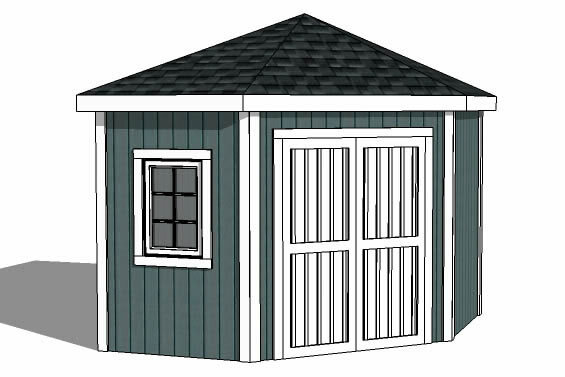 They are easy to buy shed plans that include information on how to assemble each part of the shed. Materials List - A plan specific materials list is included with every plan. Customization - Have your plans modified to be exactly what you need. Click to find out how. Free Phone or Email Support - We are happy to answer questions about your project. Our phone number is on the top right of every page. 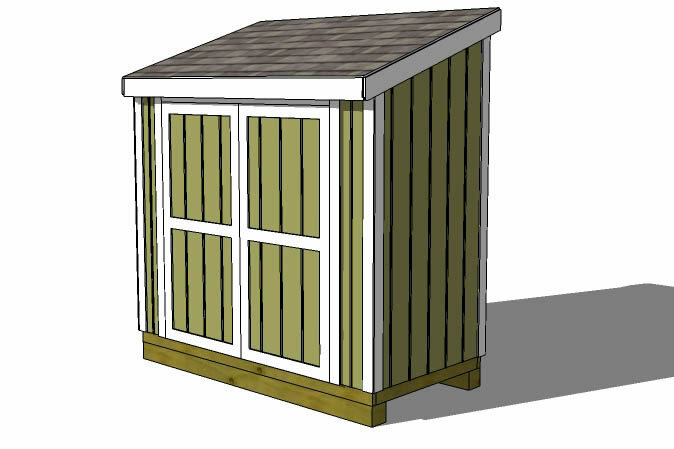 We provide outdoor shed plans that are affordable and easy to build from. 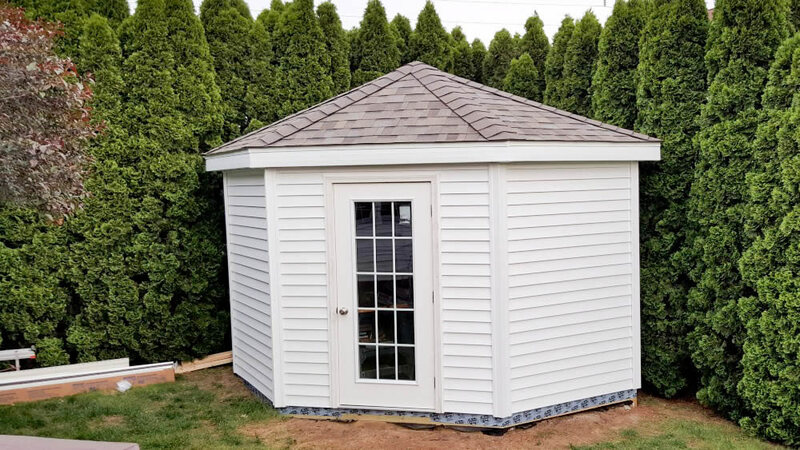 Our storage shed plans are organized so that you can buy shed plans and build your own shed no matter what your skill level. There are helpful how to build instructions and tips that go along with each stage of the storage building process from the foundation, floor, walls to the roof. Building your own shed saves you money and is a very rewarding experience that adds value to your property. 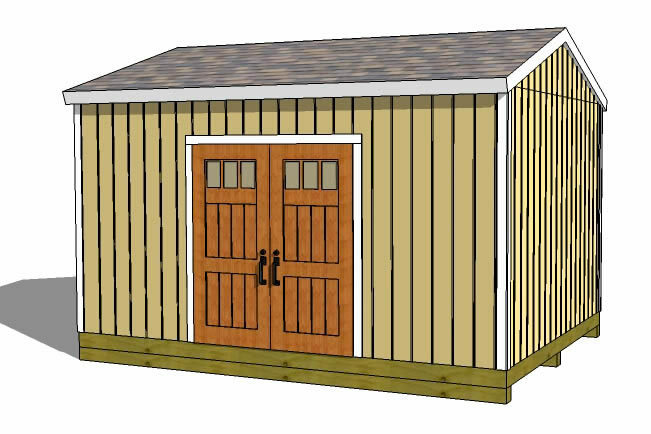 Click the shed images above to view our library of over 200 storage shed plans. 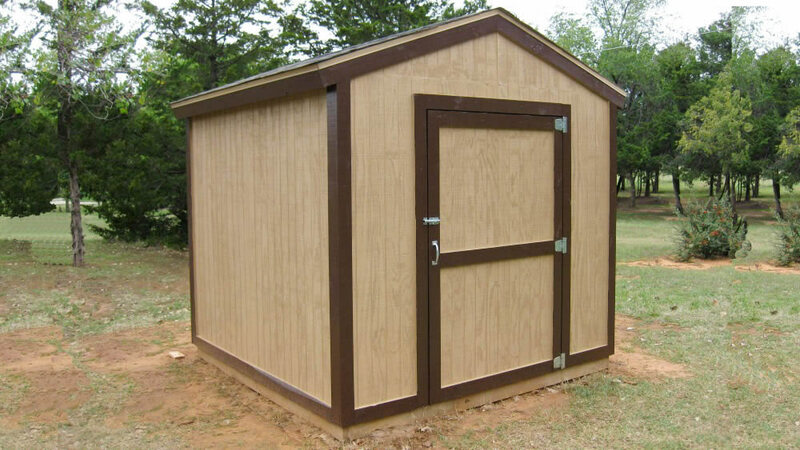 Our backyard storage shed plans are defined by their cost effective quality construction and simple to build designs. Their construction includes 2x4 framed walls, T1-11 grooved plywood siding, asphalt roofing and a strong sandwich construction door. You can buy shed plans with different pitches of roof slopes The lower pitched roof and simple trim make them easy and inexpensive to build. 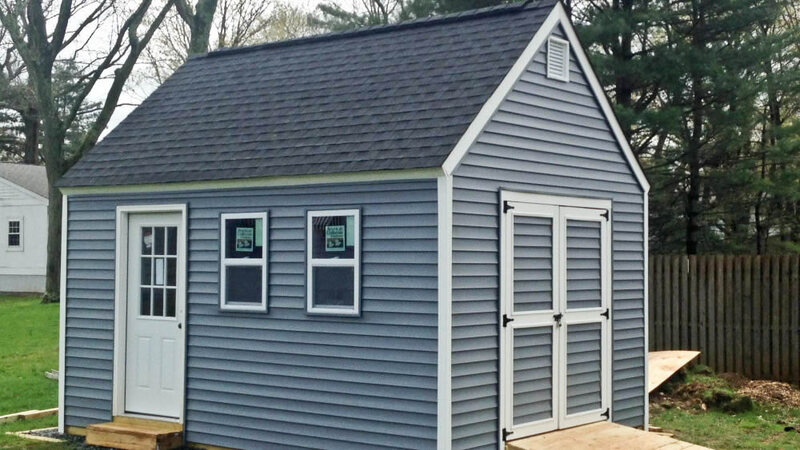 If you are looking for storage shed plans that are designed to be easy to build from and as cost effective as possible, the backyard shed plan line is your best choice. A How To Buid A Shed e-Book that comes free with every shed plan order. 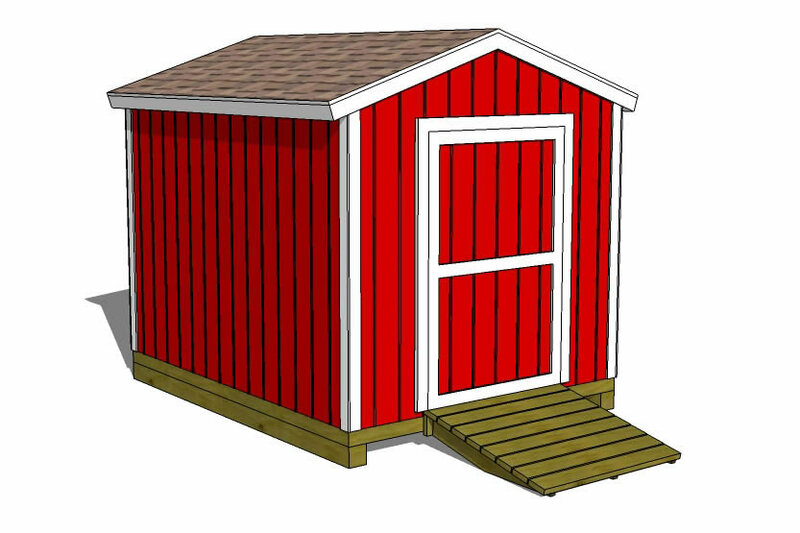 This e-Book has over 50 pages of illustrations showing each step to building all the roof types shown on our shed building plans, how to frame shed walls, how to frame a shed floor, how to install siding, how to build roof rafters and trusses. It also includes nailing schedules and optional roof details. How To Build A Shed Website Tutorials. 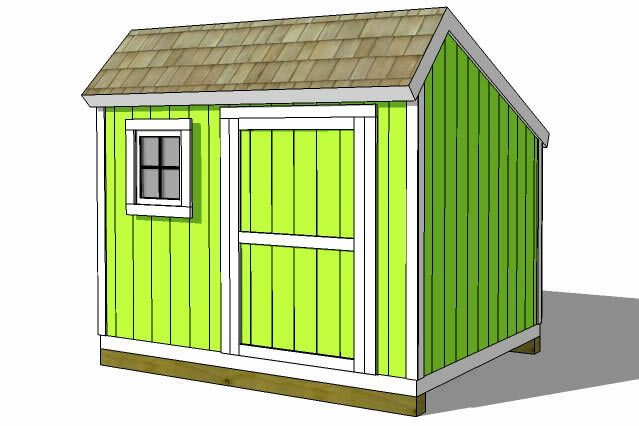 Our website has a simplified version of the shed building instructions in our e-Book. 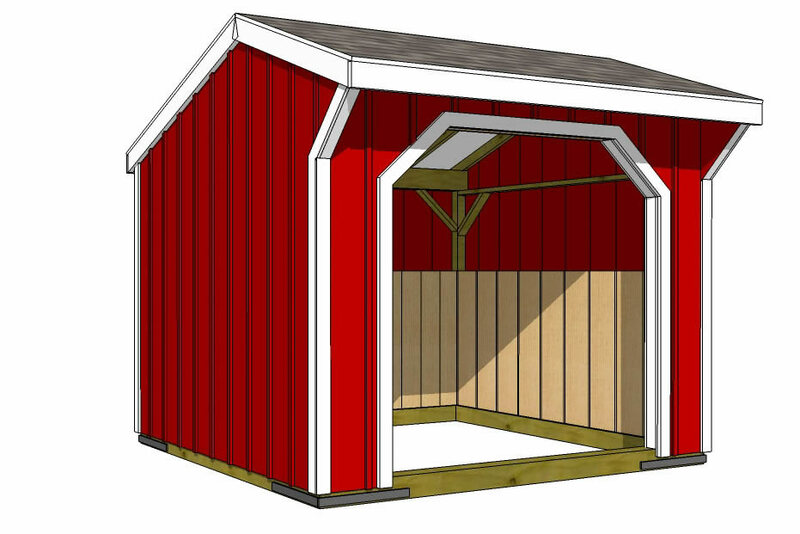 Each of the major parts of shed construction are covered in this easy to follow tutorial. Plans for over 180 different shed designs and sizes. Each plan comes with drawings showing the floor plan, foundation plan, exterior elevations, wall framing plans, roof framing plans, truss design information, materials list and details. 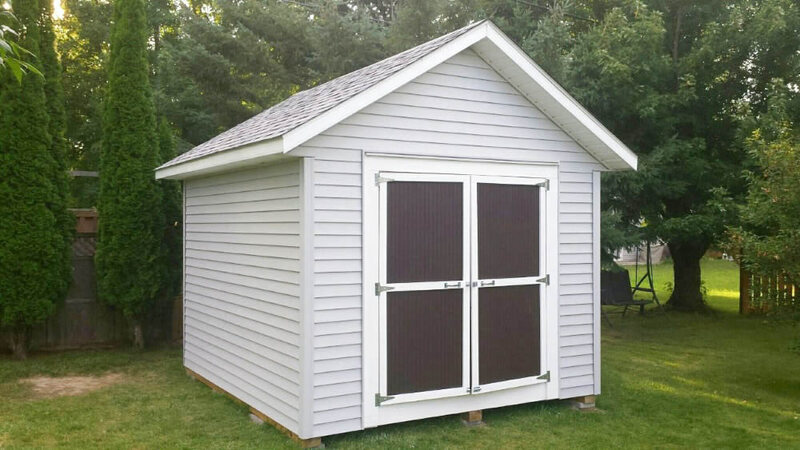 A lean to shed is the perfect way to build up against a fence or wall and still have plenty of room in your yard. It also keeps water away from the structure you are building up against. The lean to shed design is the simplest design of shed to build because of its single plane sloping roof which makes the roof easy to build. We have many different configurations and sizes either with double or single doors. 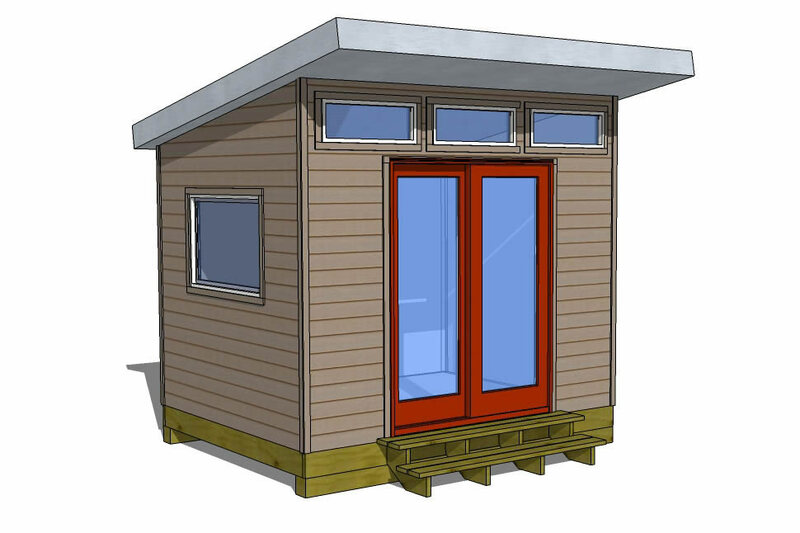 The larger lean to designs include optional plans to build the doors on any side of the shed. Our smaller lean to style sheds have a 4 in 12 pitch roof and our larger designs have a 2 in 12 pitch roof to keep the overall shed height lower and help reduce shed construction costs. Modern Sheds are defined by their clean and simple looks. They are perfect to be used as a home office, work studio or even a cool place to store things. 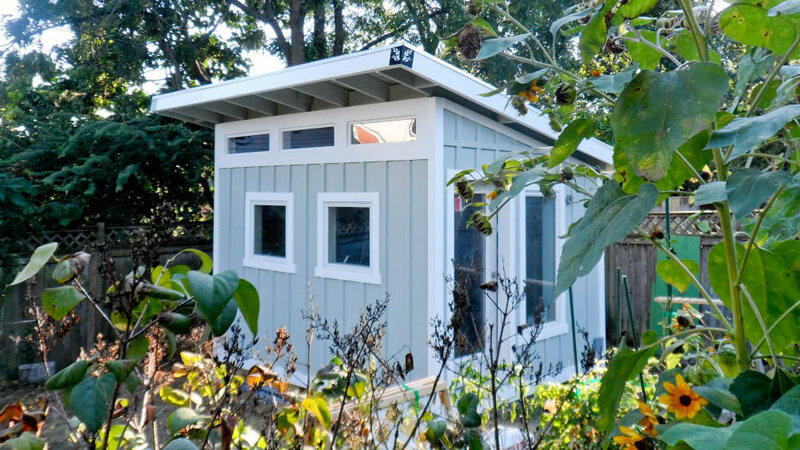 With lots of windows, a simple low slope metal roof and horizontal siding, these plans are a great way to build a professional work space right in your back yard. Building a home office or work studio in your backyard will eliminate the commute to work and at the same time give you a quiet professional place to work and bring clients. A saltbox shed is defined by its double sloping roof style. The front roof has a steep slope of 12/12, and the rear roof has a lower slope of 5/12. Most plans have options for the doors on either the front or side. Click on the images to view more details. The saltbox style evolved from the practice of extending the second floor roof line down to the first floor level to create additional covered living space. The design adds a south eastern flair to back yard shed designs. 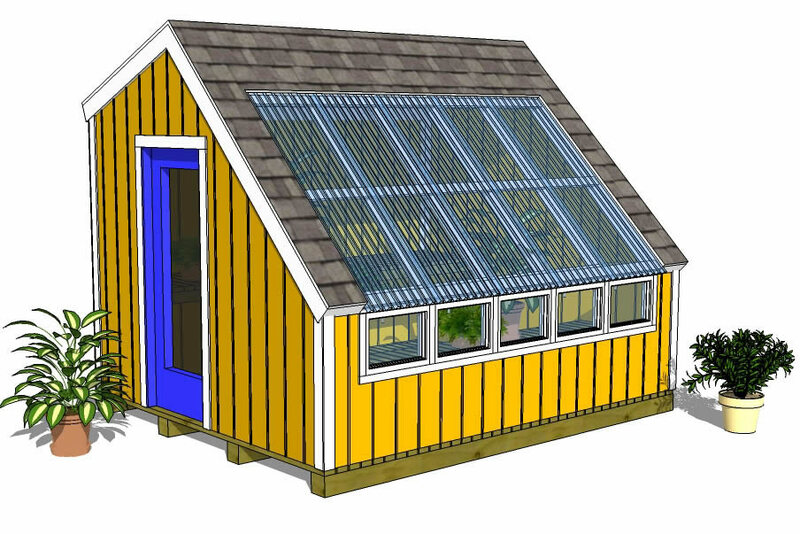 Our wood greenhouse shed plans have lots of windows and use clear polycarbonate roofing that lets in plenty of light to keep your plants happy and green. Several designs use the same doors that are installed on residential homes to keep construction simple and allow the door to have a glass panel to let in even more sunlight. The floors are made using 2x6 pressure treated wood so plants can be watered inside without the worry of damaging the floor. 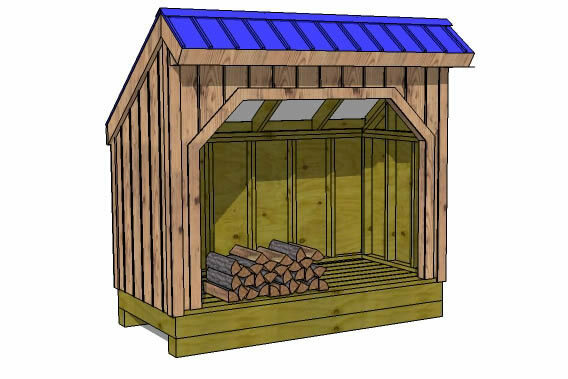 Firewood sheds are simple sheds designed to help your firewood dry out and also keep it from getting a lot of water on the wood when it rains or snows. The simple open front design allows the wood to be easily accessible and increases air flow around the stacked wood. The floors are designed using 2x4 boards spaced 1" apart to provide plenty of strength and allow allow air to circulate up through the floor and around the wood to season it properly. The roofs are corrugated metal but they can also be roofed with asphalt shingles. A well designed and built wood storage shed allows you to properly season your firewood so that it will be ready to burn. The garden shed is often called a cottage shed which is defined by steep roofs and detailed trim work. The trim details take a little more time and expense but greatly add to the look and feel of a quality project. Our two main styles include the Cape Cod which has taller windows and the Colonial which has square windows. We have a large selection of small horse barn plans, tack rooms and run in shed plans. Each of our designs comes with a materials list and construction plans to help you save time and money when you build. We have many different sizes of horse barns including one, two, three and four stalls. 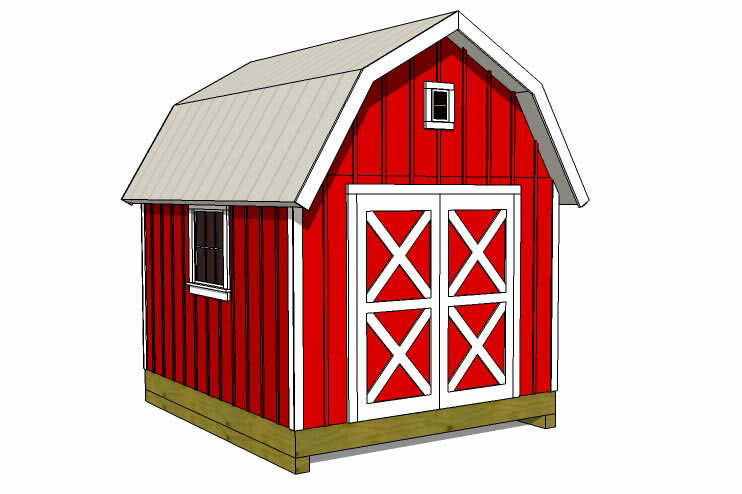 Most of the barns and run in sheds are designed to be built with pine board and batten siding on the outside and a 4' tall Oak kick board on the interior. If you are looking for plans for the little extras like a ramp to make it easier to get into your shed then you have come to the right place. 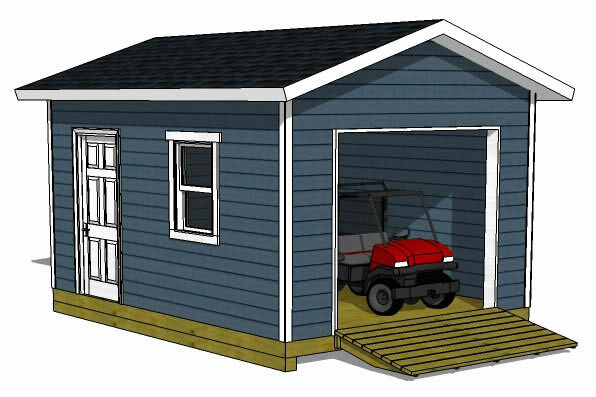 These shed ramp plans and instructions are free to download and use. 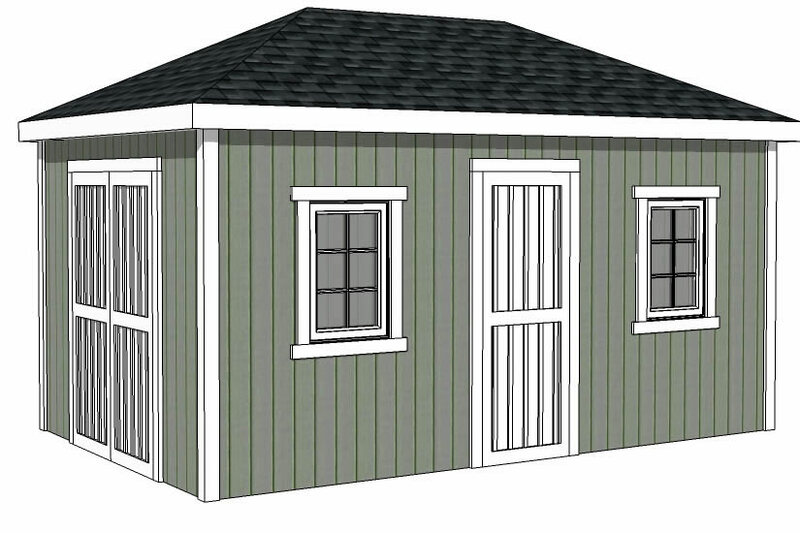 We make it as simple as possible to buy shed plans and start building. Our pdf download allows you to purchase the plans and start building immediately. We also offer the option to postal mail the plans if you need that. 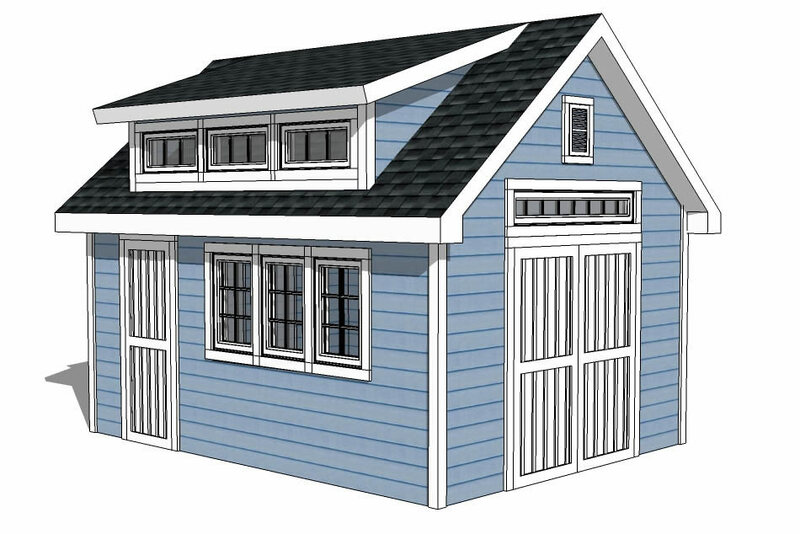 When you buy the shed plans you will get an email from us that includes a link to download the plans to your computer. 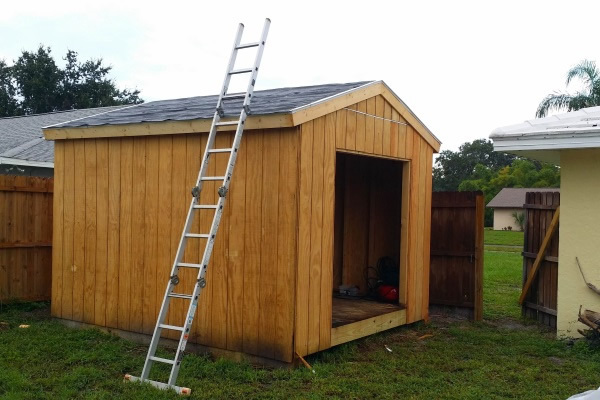 Building a Shed should be a fun project that provides the satisfaction of creating something and a sense of accomplishment. 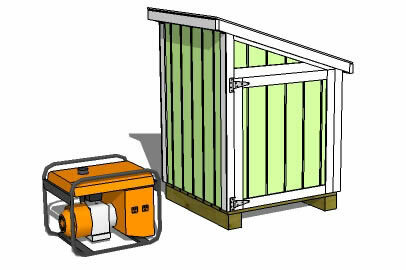 We have put great effort into our shed plans to make them easy to follow and work from. 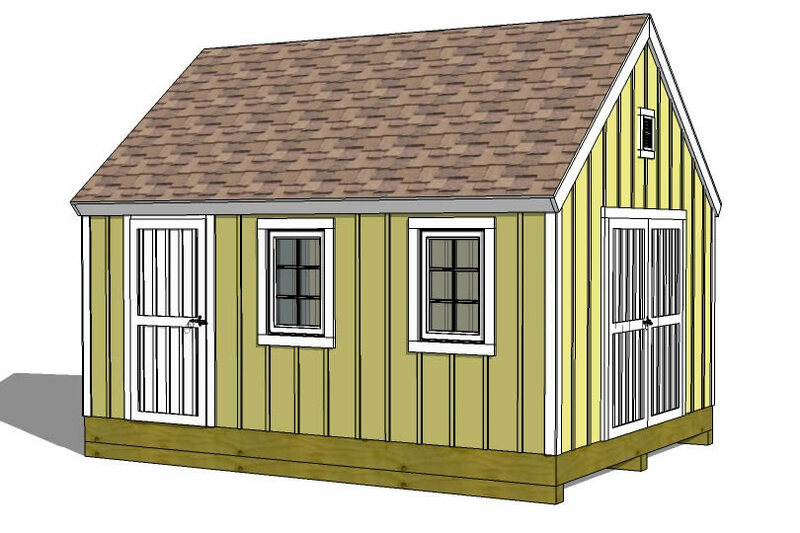 The How To Build A Shed eBook that is included with every shed plan is designed to show all the different steps involved in building a shed. The materials list is detailed out so that every part of the shed has a label which makes it easier to put each part where it goes. 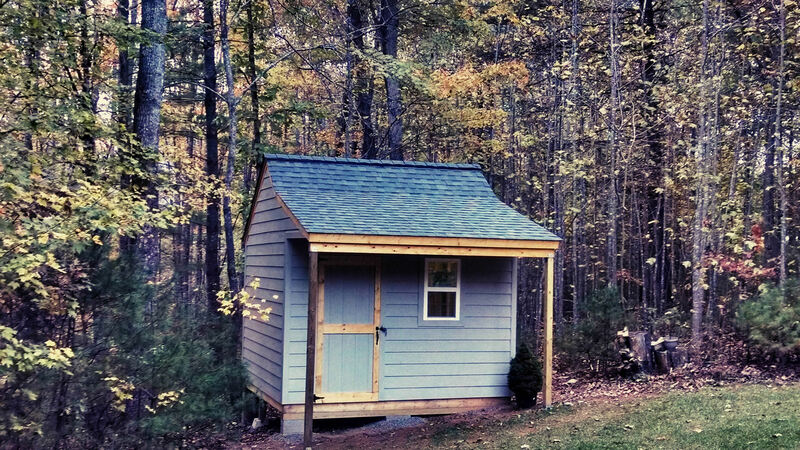 Let us know how your shed building project goes, we love to hear about and see photos of our customers building their sheds! Find the email address at the top of this page to send in your shed building photos.